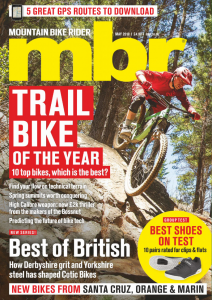 Mountain biking is a sport for big kids, Trek thought it was time the actual kids had a fair go too. The Fuel EX Jr was created as a ground-up project with a frame designed specifically with kids in mind. 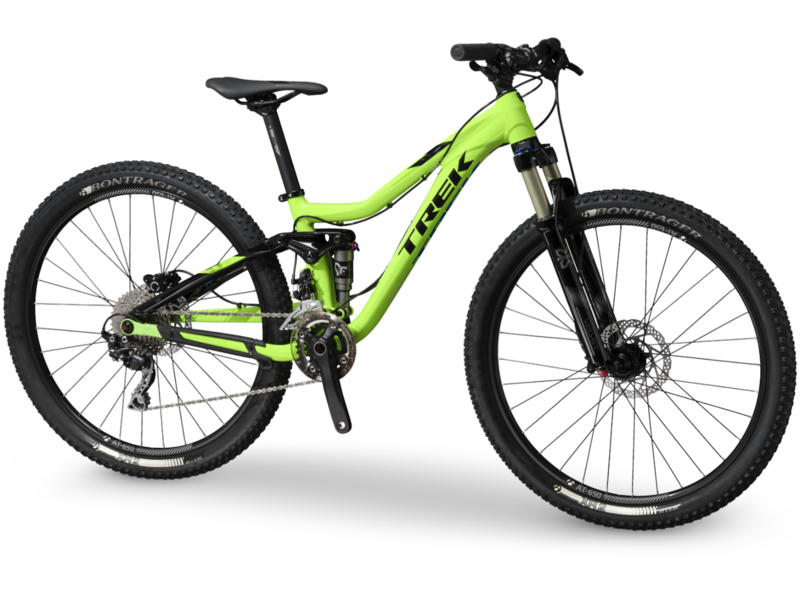 Trek aimed to create a bike that would give kids a great riding experience that they wouldn’t outgrow the novelty of – a serious trail bike. The 12.5″ frame keeps features from the adult bike, such as the EVO Link, the Active Braking Pivot and the E2 tapered headtube, but adds more standover clearance and child specific geometry such as a 53.5cm reach and 104 cm wheelbase. It is designed to fit children between 4ft 5in and 5ft 6in tall. 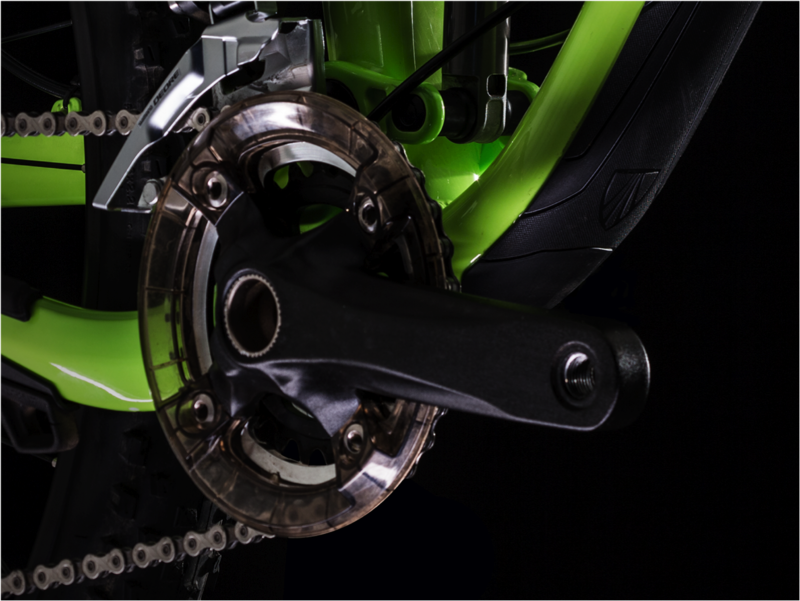 Suspension comes from a custom X-Fusion set-up with 90mm of travel front and rear. This is tuned by Trek for riders who weigh less than 80lb (36kg) and features a lockout function. The bike is also fitted with 160 mm cranks to accommodate shorter legs. 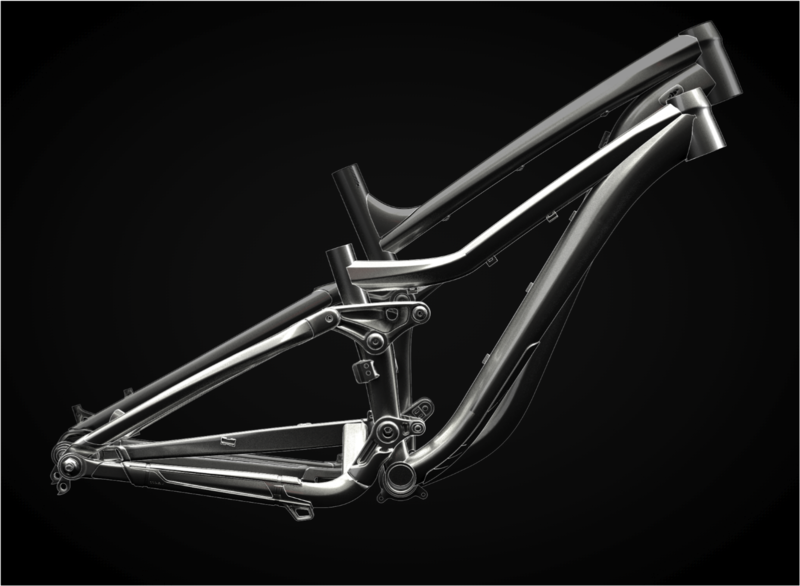 The full bike weighs 28lb (12.7 kg), roughly the same as an 18.5 inch 2015 Trek Fuel EX 9 27.5. The bike will retail as a frame-only for £1,100 and as a full bike for £1,400.